Properties in Mouillac average 4.8 out of 5 stars. Beautiful countryside house with its own park, 2 terraces, air conditionning. Property 9: Beautiful countryside house with its own park, 2 terraces, air conditionning. 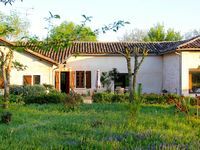 Steps from Centre ST ANTONIN with garden, Peaceful walled+gated Garden. WIFI. Property 12: Steps from Centre ST ANTONIN with garden, Peaceful walled+gated Garden. WIFI. Holiday home in beautiful location with enormous private grounds, terrace. Property 17: Holiday home in beautiful location with enormous private grounds, terrace. Property 21: Holiday home in beautiful location with enormous private grounds, terrace. The Boulbènes Guest house - 6 pers. pool and garden. Property 26: The Boulbènes Guest house - 6 pers. pool and garden. LATE DEAL! FROM 700 EUROS PER WEEK IN SEPTEMBER! Property 40: LATE DEAL! FROM 700 EUROS PER WEEK IN SEPTEMBER! Character cottage, 4 *, quiet and relaxing, in the heart of Causses du Quercy. Property 44: Character cottage, 4 *, quiet and relaxing, in the heart of Causses du Quercy. A lovely house full of character set right in the heart of the village. We had a great stay for four adults at St Antonin Noble Val. The house has bags of character. Lyn met us on arrival and we saw her again on the day of departure. She was very helpful with advice and recommendations of where to eat, etc. The house is situated right in the heart of the village with a bar and restaurants within a few metres. The market on Sunday is a real treat and stretches from one end of the village to the other, this is also when the shops open, some were closed apart from Sunday. It is well worth spending time wandering the village, finding little tucked away shops and bars. We ate in the village at least once a day, we loved &lsquo;Le Festin de Babette&rsquo; eating there three times, it just over the bridge with a great view of the village back over the river, staff were very attentive and the food extremely good. For lunch &lsquo;A La Table d&rsquo;Antoinine&rsquo; is hard to beat, with a very brief menu but of the finest quality and cooked to perfection, this along with the welcoming owners makes this a must visit place. A quick drink in Bacchus on the way back from dinner was a lovely way to complete the evening, but we did not enjoy the food there, it has a great terrace and for a lazy afternoon in the sun a great place to while away a few hours. The &lsquo;Plage&rsquo; down on the river is a very rustic bar that overlooks the river, I would imagine very busy in the summer months, a great vantage point for swimming. Days out included visits to Rocamadour (if you want to walk the ramparts at the top make sure you each have a &euro;2 coin for entry as the kiosk is not always manned), Cordes sur Ciel (great wine cave near the square, amazing views), Albi (worth following the historical trails, amazing cathedral) all great days out spent wandering the sights. A lovely place to explore and wander the hilltop villages and larger towns. We will return to enjoy this idyllic part of France.